On August 20, 2013, APEX Medical Corp. announced at a press conference its challenges to six of the seven patents that were involved in an investigation by the U.S. International Trade Commission (ITC), which was terminated by the ITC on August 9, as well as introduction of products related to obstructive sleep apnea (OSA) syndrome. APEX has brought invalidity challenges before the U.S. Patent and Trademark Office (USPTO) against six of the seven patents that ResMed asserted in the patent litigation. APEX challenges these patents in accordance with the new procedure under the Leahy-Smith America Invents Act (AIA), which allows reexamination of issued patents if substantial invalidity evidence is provided. 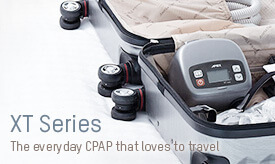 At the press conference, APEX also introduced new CPAP machines and masks for sleep-disorder breathing treatment. The new CPAP machines and masks are more innovative in terms of the clinical effectiveness, user friendliness, and design. The light, compact new iCH has a stylish design that integrates the water chamber to the body, which prevents water leakage. The new mask provides more effective exhaustion of CO2 and quieter user experience. 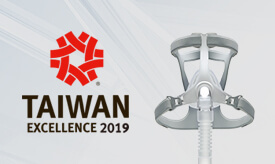 APEX’s President, Mr. Daniel Lee, said to the press: “We proudly introduce our new CPAP machines and masks to the industry. 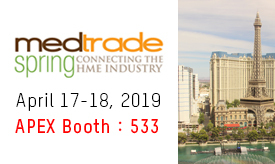 In the R&D process we considered valuable feedback from our users all over the world in order to make APEX the best choice for dealers and consumers. 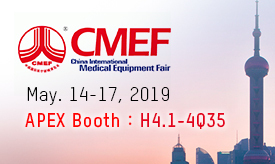 The new iCH and masks are scheduled to be offered to the market in September following submission of expert analysis to the ITC.” “We believe that the CPAP machines and masks will provide unparalleled user experience through their quiet and contemporary design,” Mr. Lee added. 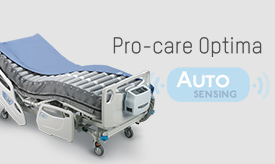 Operating under principles of integrity, professionalism, and innovation, APEX markets a global brand for breathing treatment systems and possesses exceptional ability in product development, manufacturing, and marketing. Our excellent team of professionals specializing in medicine, engineering, materials, organization, and clinical trials has been devoted to developing its own technology and intellectual property. We aim to provide consumers worldwide access to top-quality products and to become the leading company in the market for breathing treatment products.